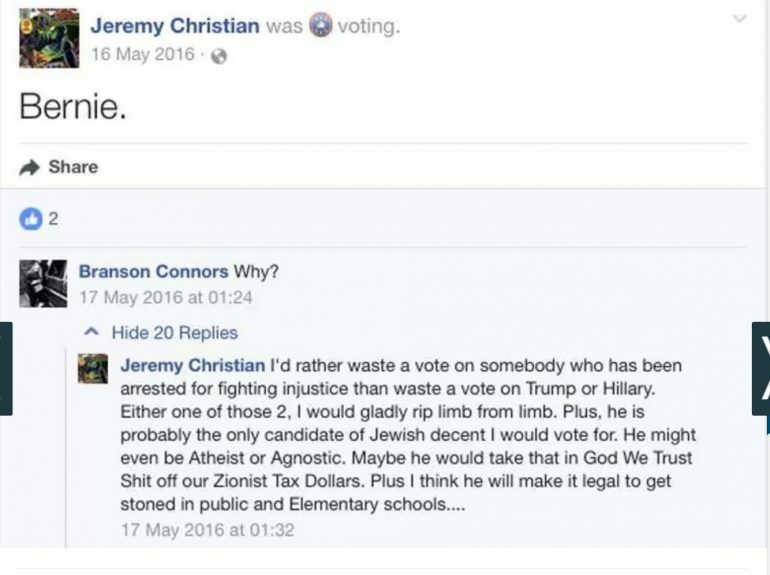 …Christian started shouting ethnic and religious slurs, apparently at the two young women, one of whom wore a Muslim head-covering, the Portland Police Department said in a statement. 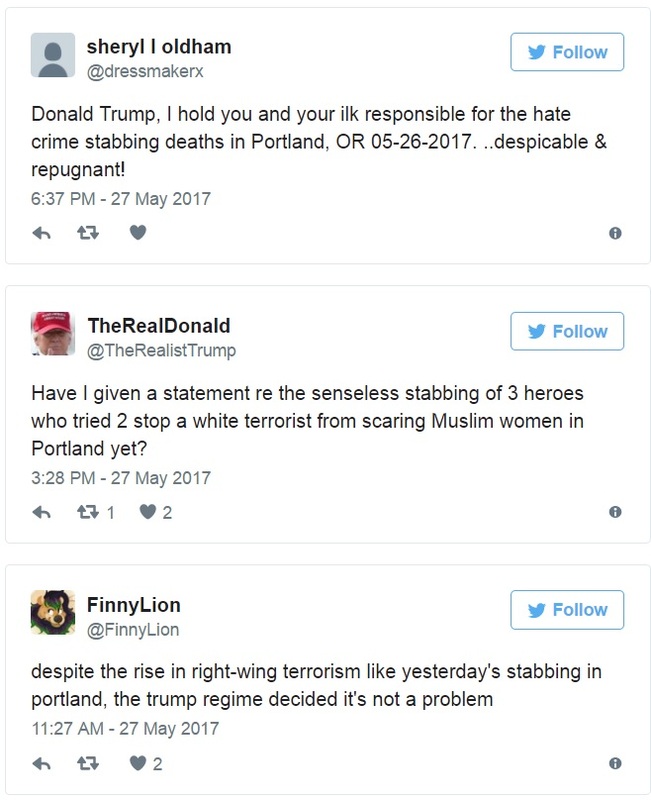 Stabbing the Good Samaritans that were intervening in his hateful tirades. Christian was taken into custody and charged with two counts of aggravated murder and charges of attempted murder, intimidation, and having possession of a restricted weapon. Of course, the Leftists jumped on this as a ‘right-wing extremist’ crime. Because they seem to have forgotten that, historically, it’s the Democrats that were the white supremacists. And the rush to judgment was swift: It’s Trump’s fault. But… that got awkward quickly. It turns out this guy was also a Jill Stein supporter. @DrJillStein Are you kidding me? The killer is a supporter of yours! Also a supporter of Bernie Sanders! How much do you want to bet that this is going to be brushed under the rug by the Media (D) now that it’s come out that he’s a Leftist like they are? Just like all of those examples of ‘far-right’ extremism that turned out to be hoaxes.